Our Driving Range & Training Centre is a 40 stall two level driving range that is both heated and has lights for night practice. On the lower level of the driving range we have two practice sand bunkers for practicing short outs to the long approach. Beside the pro shop and Glen Bar & Grill you will find a putting green as well as a chipping green. We have three teaching professionals on staff with a wide range on programs from beginner group lessons to on course playing lessons. Whether you are a scratch golfer or have never held a club before, Fraserglen’s Driving Range & Training Centre has something for everyone. 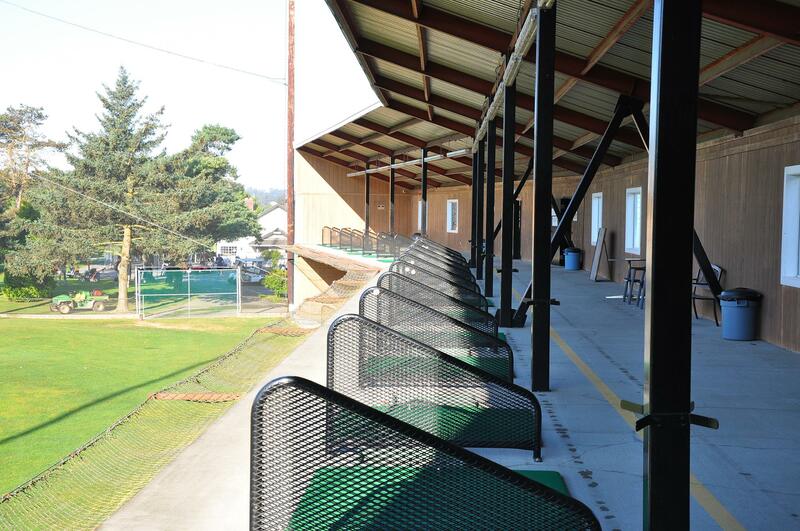 There are two different ways you can purchase balls for the driving range. If you use our range regularly and would like to save some money we offer range cards. These cards allow you to pay a discounted rate on all of the balls you purchase. If a range card is not suitable for your needs our range machine also accepts toonies. Two dollars will buy you eighteen balls from our range machine. Prices include GST/PST.